The Palestinian Health Ministry said the soldiers injured 115 Palestinians, including seven children and four women, after the army attacked the protesters with live fire and gas bombs, across the border area in the eastern parts of the coastal region. Thousands of Palestinians participated in the protests, which started after evening prayers in various mosques of the coastal region, before they boarded buses that took them to protest tents, hundreds of meters away from the border fence. Media sources said Palestinian protesters, using slingshots, managed to down an Israeli military drone, east of Abu Safiyya area, in northern Gaza. 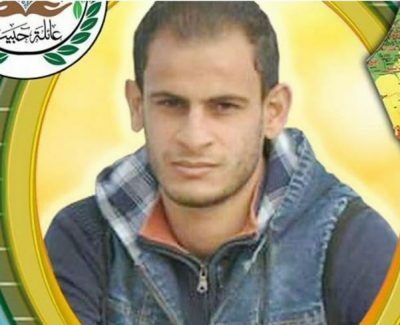 Also on Friday, the Health Ministry said a young man, identified as Yasser Sami Habib, 24, succumbed to wounds sustained from Israeli army gunfire during the protests on May 14. Habib suffered a very serious injury before he was rushed to a hospital in Gaza, and was later transferred to Sr. Joseph Hospital, in occupied Jerusalem, where he succumbed to his wounds. 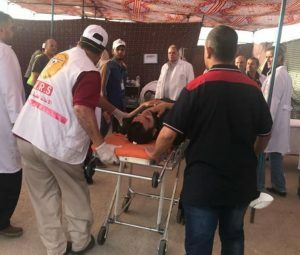 Two other Palestinians who were injured, during the protests on May 14, also succumbed to their wounds on Thursday evening. They have been identified as Ahmad Ali Qattoush, 23 Mohannad Bakr Abu Tahoun, 21. The Health Ministry said the army killed 115 Palestinians, and injured more than 13.000, including 332 who suffered life-threatening wounds, since the Great Return March procession started on Palestinian Land Day, on March 30th, 2018. At least 109 Palestinians, including four children and nine women, were injured by gunfire and others suffocated from teargas, after Israeli soldiers attacked them, while partaking in the continuing Great March of Return protests along the Gaza-Israel border, WAFA medical sources said. Among the wounded, three were critically injured by gunshots in the head, while the remaining others sustained various bodily injuries. Other protesters also suffocated when Israeli soldiers fired teargas canisters at them, who, despite a hot Ramadan day, continued to protest peacefully along the eastern border of the Strip, demanding the right of return to their pre-1948 homes in historical Palestine. The protesters burned damaged tires near the border, to disrupt the visibility of the Israeli soldiers, who opened fire at the protesters, despite the fact that they did not pose a life threat to the soldiers. Over 120 Palestinians were killed and thousands have been injured since the outbreak of the Great March of Return protests, on March 30. Also on Friday, a young Palestinian man succumbed to wounds sustained from Israeli army gunfire during the protests on May 14, according to medical sources. Yasser Sami Habib, 24, died of his wounds at St. Joseph’s Hospital in Jerusalem, where he had been moved for medical treatment. Habib was shot and critically injured during the protests against relocating the US embassy in Israel from Tel Aviv to Jerusalem. 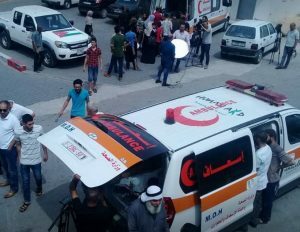 Two other Palestinians who were injured, during the protests on May 14, also succumbed to their wounds on Thursday evening.